1.Visit UCO Bank Internet Banking e-Banking Website. 2. Click on Password Reset/Unblock link. 3. Enter User Id, Account Number and one of the last 5 transaction amount and type. Check "I agree with Terms and Conditions:-" checkbox and click on Submit button. 4. 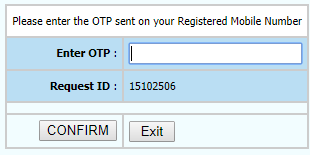 You will receive OTP on your registered mobile, Now enter this OTP and click on CONFIRM button. 5. Now, Enter the below details and click on Submit button. 6.If all details are verified then you will be asked to Enter/Re-enter the new password to reset the same.